In this article, we’ll be examining how a person should be prepared for their actual Michigan Secretary of State Driver Assessment and Appeal Division Hearing. In the previous installments of this series, we described the difference between those people who simply want to have their Driving Privileges Restored, and those who both want them Restored and have made the necessary Lifestyle Changes to win an Appeal. We then examined Rule 13, which sets out the issues that the DAAD must examine, as well as the standard by which those issues must be reviewed. We saw how a person Appealing for a License must really prove 2 or 3 things, but do so by “clear and convincing evidence.” We further learned that “clear and convincing evidence” does not mean getting “the benefit of the doubt,” but rather equates more to hitting a home run. In addition, we looked at the evidence that must (and some that should not) be submitted to win a Hearing, and we saw how important the preparation process was right from the very outset of an appeal, even before any of that evidence was collected. Let’s pick up at the point where the Request for Hearing and all the Documents and Evidence has been submitted. Within a few weeks, the Secretary of State will send a Notice of the Hearing Date and Time to both the person Appealing, and their Lawyer. As a Michigan Driver’s License Restoration Lawyer, what follows is a description of how things are done in my office. To me, this phase is every bit as crucial as studying for an important test. In my years of successfully handling these cases, I think I’ve pretty much gotten this down to a science. The scope of my Driver’s License Restoration Appeal Practice covers any Michigan Driver’s License matter. This means that even if someone has moved out-of-state and needs to clear up a Michigan License matter, I can help. Because my office is in the Metro-Detroit area (Mt. Clemens), I have all of my Hearings set at the DAAD Office in Livonia, Michigan. Over the years, I have gotten extremely familiar with how Hearings are conducted in that Office, and therefore can focus the preparation process on what will actually happen at the Hearing. Let’s face it, anyone going into that Hearing Room knows this is an all-or-nothing, win-or-lose proposition. They are understandably nervous. Mistakes due to nerves are understandable, and generally can be corrected if the Lawyer is following the testimony. When a person freezes, however, and goes into that kind of panic-induced “mind-lock” that makes them unable to recount even a few of the 12 Steps of AA, for example (assuming, of course, that they have filed the Appeal and relied upon their AA affiliation as proof in their case), then their chances of winning the Appeal (remember, by “clear and convincing evidence”) goes down the drain. A few years back I had just such a thing happen. My Client, who I had represented for his DUI’s in years past, had come to know me well. He was completely comfortable and at-ease with me, and we prepared for his License Appeal based upon his AA attendance. In truth, this guy really was into AA, and I completely believe that he was not only going to meetings, as he indicated, but was also sober, and committed to remaining sober. So, after we had spent a few hours together in preparation for his Hearing, I figured he’d do just fine. Instead, at the Hearing, when the Hearing Officer asked him questions, especailly about AA, he lapsed into a panic, and despite being, for all intents and purposes, “Mr. AA,” he couldn’t recite one single step of the 12 in AA. The Hearing was a disaster. I couldn’t imagine what had happened to my Client, who, only days before, seemed ready and able to answer any question I threw at him. Later, I received a call from his mother, apologizing, on his behalf, for not letting me know beforehand that he had a pretty bad case of ADD (Attention Deficit Disorder) which could (and did) result in his losing focus and not being able to remember what he really did know. She explained that while sitting with me, he was relaxed and able to focus, but the nervousness he felt in that Hearing Room overcame him and knocked him off track. Had I know that before, it would have changed the way we conducted the Hearing. As it was, he just came off as a guy who said he went to AA, but didn’t know any of the things that a person who regularly attends would. This case is an example of how unexpected things can happen once the Hearing Room door closes. Making sure my Client is as well-prepared as possible, and will feel, during the Hearing, that they are on familiar ground, is the order of the day. To do that, when my Client and I meet to prepare for the Hearing, I first begin with a brief explanation of how the Hearing itself will run. I tell my Clients what happens first, next, and so on. Then, we review their Substance Abuse Evaluation as well as their Letters of Support. 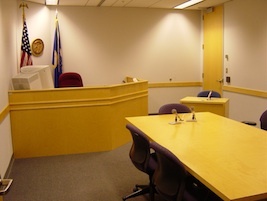 We “frame” the Hearing by recalling exactly how the Hearing Officer views the Person Appealing (remember, “Habitual Offender“) and evaluates the evidence they have submitted (must be proof that’s “clear and convincing”). Only then will we begin the process of reviewing the questions that pretty much all Hearing Officers will be asking. As we review that general set of questions, I help the Client return to their evidence so that their answers to those questions will be consistent. An old maxim by Mark Twain is perhaps the best guide here: “If you tell the truth, you don’t have to remember anything.” These general questions, asked in some form or another by all of the Hearing Officers cover a number of areas, including (but not limited to) the events surrounding the persons DUI arrests, the Sentences they received from the Courts, their drinking history, and when, why and how they eventually quit. In addition, they’ll be asked about any counseling or treatment they received, including any AA attendance, and what they learned from those things. It is important for me not only to review the questions my Client will be hearing, but the answers they’ll be giving. I also think it’s equally important for the Client to hear their own answers. You don’t practice for a speech by just thinking about it; you practice by doing it in front of the mirror, or in front of someone. Given the stakes here, it’s not only advisable, but necessary, to practice and be well-prepared. In the next installment, we’ll examine the questions and areas of interest that are unique to any individual Hearing Officer, and learn how to prepare for that.